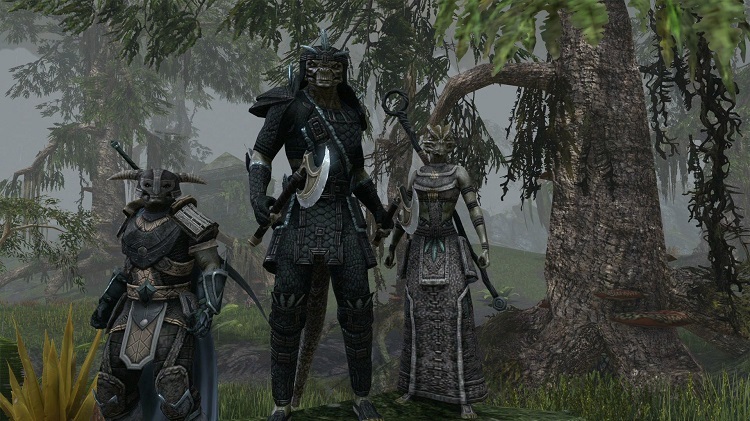 The CEO of Pathfinder Online, Ryan Dancey, is defending Zenimax's decision to port Elder Scrolls Online as a subscription-based MMO. Dancey's defensive stance comes on the heels of a recent article by Paul Tassi. The editorial piece, titled Predicting the Biggest Video Game Disaster of 2014: The Elder Scrolls Online, was spotted on Forbes.com on January 2nd. The main point of Tassi's article argues that subscription-based MMO's are a dying breed, and that gamers no longer wish to pay upwards of $15 a month for access. Dancey doesn't believe that these assumptions are true and set out in a recent blog posting to speak about the importance of monthly MMO subscriptions. The Pathfinder Online CEO has compiled his own chart to help explain just how much subscription-based revenue is generated for the West (including North American, Russia, Europe, and Australia/New Zealand) each month. It is important to note that these figures were created via some armchair detective work by Dancey and do not represent any official numbers released by developers. It is also important to point out that this list only contains fantasy action-based MMO's, but doesn't include titles like Second Life, Maple Story, or any applicable MMOFPS. Dancey believes that the Western market is generating over $100 million in subscription-based revenue each month, and goes on to say that micro-transactions on their own only generate "about half" of that. He uses World of Warcraft as an example, stating that Blizzard "has just begun to dip its toe into the MTX [micro-transaction] revenue stream." Dancey believes that MTX will become a large part of the MMO market, but notes that "unless there's a major shift in the market, it will remain a junior partner to subscriptions in terms of revenue generation." Arena Net has seen recent success with its newest title, Guild Wars 2, which employs a pay-once structure and then sees the bulk of its income in MTX. Unfortunately, without an official statement from the company, we don't know exactly how much MTX-based profit Guild Wars 2 has managed to generate. We aren't sure how much success WoW has seen from its MTX test either, so it's tough to say just how successful in-game purchases really are. If you're interested in reading all of Ryan Dancey's analysis, you can find it here.